Tendonitis, an inflammation of tendons, occurs frequently in major joints, resulting in pain which can be debilitating. Tendonitis in the elbow joint, experienced by far too many, known as tennis elbow (epicondylitis), is one of the top ten sports injuries and effects millions of sufferers. 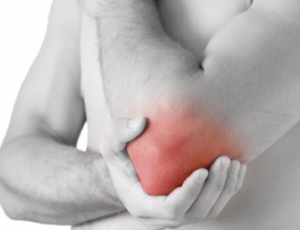 Pain from elbow tendonitis is especially debilitating when lifting, grasping, and trying to make a fist. Golf elbow, equally painful, results from inflammation of the inner elbow tendon, whereas tennis elbow emanates from the outer tendon. In addition to being considered a sports injury, caused also by inflammation from playing squash, fencing, and lifting weights, for example, it is also frequently found in those engaged in activities such as carpentry, typing, shoveling and raking. The traditional treatment for elbow tendonitis involves administering anti-inflammatory remedies, perhaps steroid therapy, and in chronic cases, soft tissue surgery, none of which provides lasting relief. Recently, stem cell procedures have shown promising results in the treatment of elbow tendonitis and the advantages of stem cell therapy provide a welcome alternative, with positive results and minimal side effects, for victims of elbow tendonitis. The process uses human cells to regenerate damaged tendons. 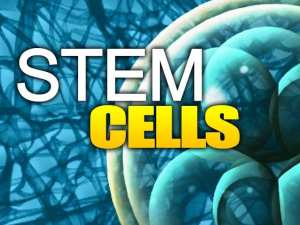 Stem cells are extracted from either the patient’s bone marrow or adipose tissue on the stomach, which are injected or implanted into the injured joint. Often, especially with implant stem cell procedures, there is a follow up procedure of Platelet Rich Plasma Therapy (PRP). Regardless of the recommended procedure, the cells are derived from the patient himself, lowering the possibility of rejection of stem cells. Each case is unique; sometimes amniotic stem cells may be recommended. Whether from marrow, adipose tissue, or amniotic tissue, it has been proven that these cells regenerate soft tissue and cartilage, exactly what is needed to treat tendonitis. Stem cell procedures for elbow tendonitis result in low rejection rates, are non-invasive, and long lasting and therefore a sought after alternative to traditional treatment. Qualified candidates for such treatment are those with chronic tendon issues who have proven resistant to other treatment options. As revolutionary as stem cell tendonitis treatment seems, it has actually been used for years in professional sports medicine. Stem cell therapy is not uncommon to assist in regenerating joints in pitchers, for example, to hasten strong healing of the major joints (elbows, shoulders) after surgery. Unfortunately, elbow tendonitis is all too common. Consult with a specialist or physician at Regenerative Network International who is knowledgeable of and experienced in treating elbow tendonitis, and has an expertise in stem cell procedures for treatment as well.